After trying out countless document cameras we have come up with three document camera models for different purposes that offer best value for money. 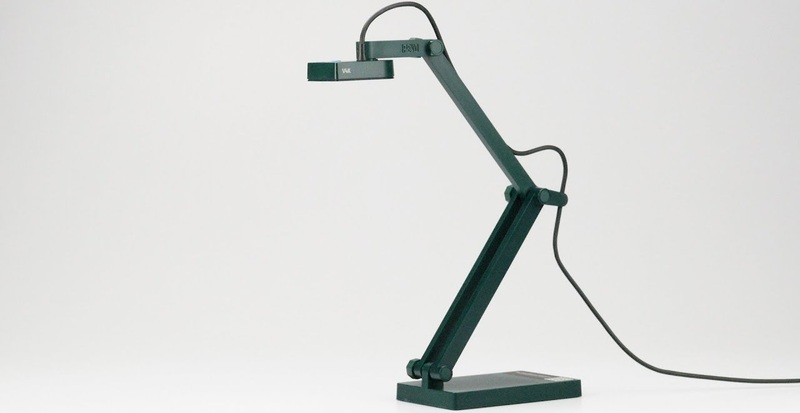 Ipevo CDVU-03IP P2V document camera offers a really good color and detail quality, especially considering the price. It outputs 1600 x 1200 resolution image with a maximum shooting area of 9.4″ x 7.2″ and macro focus that records detailed image quality from 2” (5 cm) away. 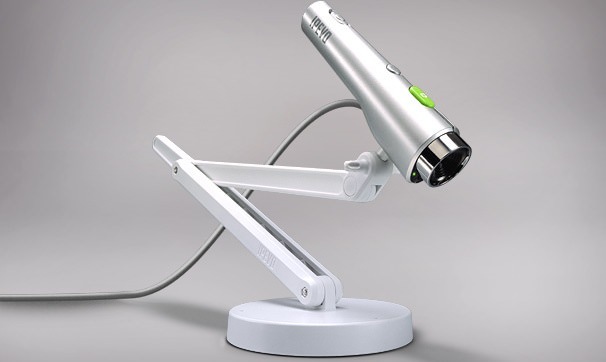 Setting up this Ipevo document camera is super easy – just plug it into USB port and it will be automatically installed. It can also be connected to project, TV or monitor and it works like a charm. The interface itself is very user-friendly and intuitive – even people that aren’t tech-savvy will find Ipevo CDVU-03IP P2V to be simple to use. You can record a video, take a picture or zoom in/out with buttons on the device. The auto-focus works well and makes sure the picture is sharp and detailed. Ipevo CDVU-03IP P2V is well build and sturdy and definitely leaves impression that it’s long lasting. Overall Ipevo CDVU-03IP P2V is amazing value for money – it’s a well built document camera with a really good image quality, that’s why we consider it to be the best document camera of 2019! Epson DC-07 outputs 1920x1080p images and 1280×720 video – not the highest resolution but picture quality is still quite good. Epson’s Document Camera is well built and elegant. It has a large capture area – up to 10.7″ x 14.3″ and has 8x zoom which comes handy (unfortunately the zoom is digital not optical). Epson DC-07 also functions as overhead projector without a need for clear sheets of plastic. 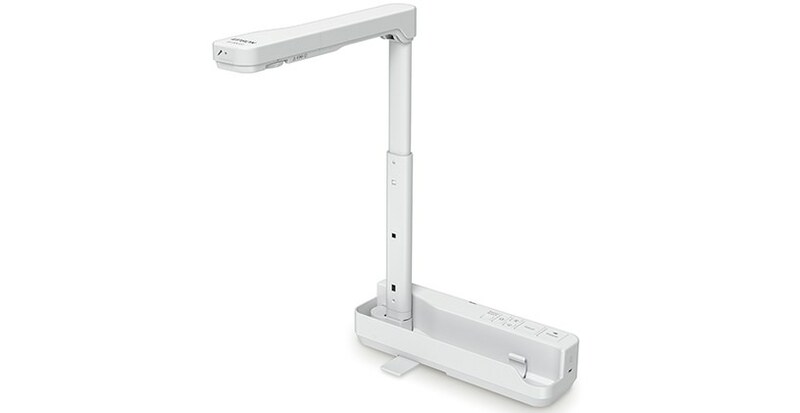 Epson DC-07 Document Camera is simple to use and features lot of functionality. It has basic editing features like adjustment of the brightness and contrast, it also lets you to add text or draw on the image which can be very useful. Camera is easy to move and rotate. It can record video with audio, however I must add the audio quality isn’t that good. Epson DC-07 Document Camera is a great choice if you need a relatively cheap document camera that can record video with audio. The image quality of IPEVO V4K is amazing! It outputs 3264 x 2448 4K images and can stream 1920p @ 30fps or 4K @ 15fps video. Image is very detailed and It can also take high quality pictures which makes it good for scanning books, magazines, documents or just archiving photos. The main problem with IPEVO V4K is it’s not as easy to use as other document cameras, it is not as user friendly as we would like. It also lacks functionality as it can’t record videos and doesn’t have LED light. IPEVO V4K is a great choice if you don’t care much about functionality and don’t mind slight inconvenience. It outputs image in amazing quality and can take high quality snapshots.